Best road bike upgrades -- without breaking the bank! Home Outdoors Best road bike upgrades — without breaking the bank! Best road bike upgrades — without breaking the bank! I like to tinker with my bicycles, and I know I’m not alone. But I don’t always want to cash in the savings and 401K to get the best road bike upgrades for the money. Let’s look at a few bicycle upgrades that cost about $100 a piece. These are parts that you can install fairly easily — from swapping out brake pads and tires to changing a saddle or pedals. Without good brakes, you are liable to break something. Brakes pads are first thing to upgrade on a road bike, especially if it was an entry-level or mid-level bike. Sometimes a fine adjustment to the brake caliper can be made and that will help — other times not. Most likely the problem is the stock brake pads, which are usually horrible for stopping. 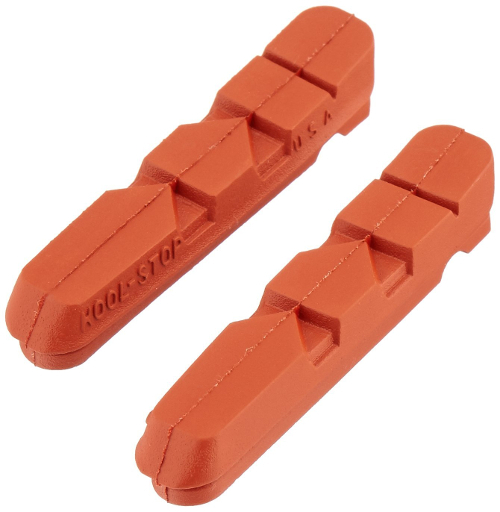 Brake pads like a pair of Kool Stops are a cheap bike upgrades that will make a world of difference in stopping power. Salmon Kool Stops are the single best road bike upgrade for the money that you can do. The salmons are good for all around stopping performance — despite the wet weather moniker. Road bike upgrades for speed: Get skinnier tires! Tires are one of the best things to upgrade on a road bike, as well. Quality tires will alter how your bike handles and rides; they can change your bikes personality. If you want to make your bike aesthetically pleasing, tires are available in many colors. More importantly, though, you need to find the appropriate tires that fit your style of riding. A tire size of 23mm is the standard for racing road bikes. This might provide a rough ride for a recreational rider or commuter because of the higher PSI used in the tires. A common technique for those who don’t race is to ride a slightly wider tire — a 25mm or 28mm tire, assuming the extra size will fit in the chain stays. For the more serious cyclist who’s upgrading tires, he/she will want to find tires that work well for training and racing. For training, a tire that has good wear and doesn’t flat is important, but this often means an abnormally heavy tire that’s not very supple. But this isn’t always the case, especially with Serfas Seca tires; however, I would never race them because they don’t roll fast enough. For racing, a tire needs to roll fast, weigh next to nothing, and be supple and sticky in the corners. The gold standard are Continental or Michelin tires. 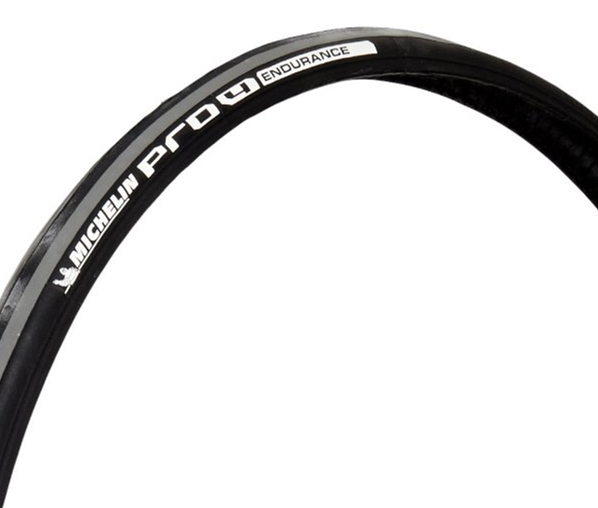 I’m a big fan of the Michelin Pro Race series. These roll really fast and stick in the corners really well. For less than one bill, tires are another one of the best road bike upgrades under $100 dollars. For me, cycling-specific clothing is not a “bike upgrade” per say, but can make a drastic improvement in comfort, efficiency and speed. Quality cycling shorts cost a lot of money. The comfort and fit they provide drastically improves riding. Whether you use Pearl Izumi, Assos, or Performance Bike shorts, get an 8 panel design and make sure they fit like a glove. Prescription sunglasses, often overlooked, are a must-have for those who wear regular specs. I rode for years without prescription sunglasses. When I finally experimented with a pair, I found that I was more comfortable after a ride because my eyes were not fatigued. Also, cold weather clothing can be a good upgrade before chilly weather sets in. 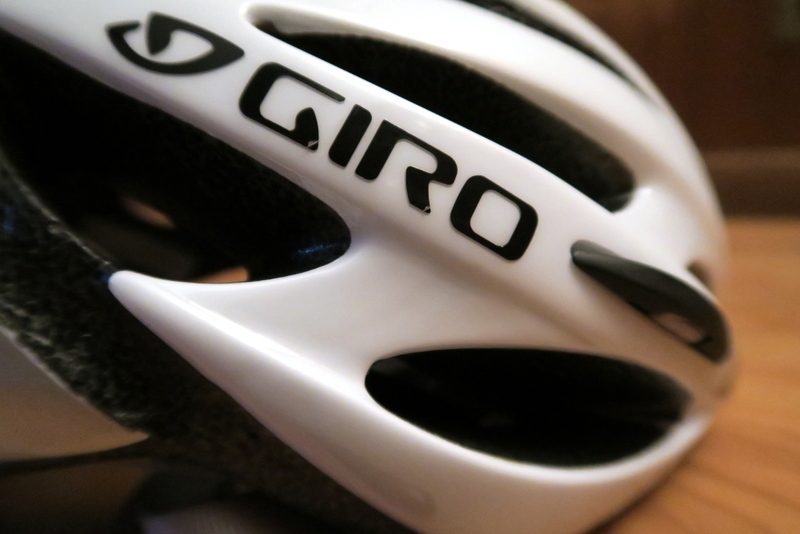 Bike saddles that come with bikes are usually ill-fitting jobbers. Often they contain too much padding that cause fit issues. 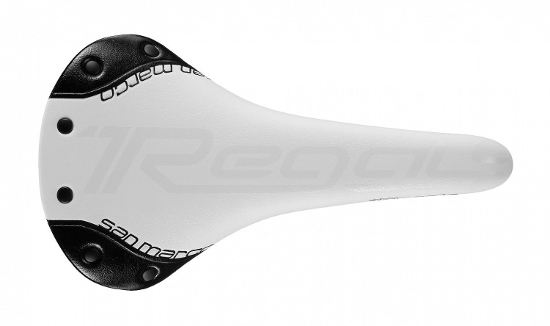 The perfect saddle can be found through trial and error, which can be expensive. I went through a lot of saddles before I found one I liked. Many bike shops, however, offer a demo program for saddles. For instance, a shop allows you a week to ride a particular brand of saddle such as a Fizik, which you put a down payment on. If the saddle fits you and you like it, you buy it. If not, they allow you to return it. If your bike came with platform pedals, a clipless pedal and shoe outfit will improve efficiency. The clipless pedals will allow you to pull up with each pedal rotation, which is not possible with platform pedals. You’ll also feel more connected to the bike and realize that this ranks among the best bike upgrades. Road pedals such as the Shimano SPD-SL line perform well and are easy to get clipped in and out of. 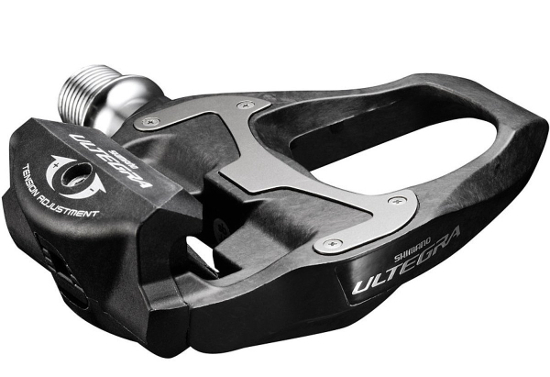 The Shimano Ultegra road bike pedals are some of the best SPD-SL pedals. I’ve used the 6700 series for years, and I like them. I think Shimano’s trickle down technology works really well because these pedals are just as good as Dura Ace but at a fraction of the cost. Swapping wheels can make a difference — just not as much of a difference as swapping brake pads, tires, saddle, clothing, and pedals. To me, those are the best road bike upgrades for the money.